It’s when you decide the goal is possible that you start to HUSTLE. It’s time to go forward with our goals. Your goal can’t wait to be developed and birthed by you–Are you up for the challenge??? DECIDE and GO TO WORK!!! 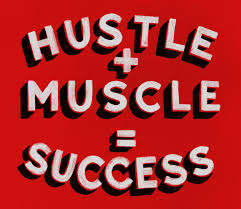 Develop Your Hustle Muscle TODAY!!! From the bottom of a grateful heart.